At an event hosted by the Chicago Consul General of the Republic of Croatia on May 10, 2013, the Croatian American Bar Association presented the 2012 Vinodol Code Award to each of Luka S. Misetic and Tomislav Z. Kuzmanovic, as the joint recipients, in recognition of their distinguished legal careers and outstanding contributions to the Croatian-American community. Mr. Misetic and Mr. Kuzmanovic represented General Ante Gotovina and General Mladen Markač before the International Criminal Tribunal for the former Yugoslavia’s (ICTY’s) Appeals Chamber, where, on November 16, 2012, the Appeals Chamber reversed Gen. Gotovina and Gen. Markač’s convictions for crimes against humanity and violations of the laws or customs of war and entered verdicts of acquittal. The actions for which Gen. Gotovina and Gen. Markač were charged occurred during the 1995 “Operation Storm” military offensive in Croatia. The Trial Chamber found Gen. Gotovina and Gen. Markač guilty of committing crimes against humanity and violations of the laws or customs of war from July to September 1995 by participating in a joint criminal enterprise to permanently and forcibly remove the Serb civilian population from Croatia’s Krajina region. Gen. Gotovina was sentenced to 24 years of imprisonment, and Gen. Markač was sentenced to 18 years of imprisonment. The Appeals Chamber found that ICTY’s Trial Chamber I erred in concluding that: (1) all artillery impact sites located more than 200 meters from a target deemed legitimate served as evidence of unlawful attacks against towns in the Krajina region; and (2) artillery attacks ordered by Gen. Gotovina and Gen. Markač were unlawful. The Appeals Chamber also declined to enter convictions against Gen. Gotovina and Gen. Markač on the basis of alternate modes of liability. Luka S. Misetic represents clients in state, federal, and international litigation, including commercial, civil, white-collar criminal, and international criminal cases. In business litigation, Mr. Misetic represents corporations and partnerships, as well as their directors, officers, and partners in breach of contract and fiduciary duty claims, regulatory matters, trade secrets claims, fraud and negligence suits, and a variety of other claims. His practice also includes representation of individuals accused of violations of international humanitarian law. Mr. Misetic received international attention as lead defense counsel for a Bosnian Croat Anto Furundzija before the International Criminal Tribunal for the former Yugoslavia (The ICTY). Mr. Misetic was the youngest attorney ever to defend a case before an international criminal tribunal. The case was featured in an article appearing in the New York Times. Mr. Misetic also successfully represented General Ante Gotovina, indicted by the ICTY for leading a military operation in 1995 known as Operation Storm. Mr. Misetic is a lifelong member of Chicago's Croatian community; as a child, he attended a Croatian school "Kardinal Stepinac" at St. Jerome's Church, was a member of the folklore group "Zrinski Frankopan" for fifteen years, and was the president of the Croatian Youth organization in Chicago for four years. He was the Executive Director of the Croatian American Association in Washington, D.C. in 1992-93, when he lobbied Congress and the White House for U.S. assistance to Croatia during the Homeland War. Together with Tomislav Kuzmanovic, he travelled to Croatia to act as an interpreter for a U.S. delegation monitoring the first democratic elections in Croatia in 1990. 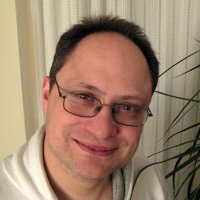 Tomislav Z. Kuzmanovic is a trial lawyer who handles a wide variety of business and commercial litigation. He handles a wide variety of business and commercial litigation. He has tried to verdict cases in state, federal and international fora. He has handled cases involving complex litigation, employment/noncompete litigation, transportation law, toxic torts, construction, hospitality, security product and premises liability, international and human rights law and foreign/domestic investigations. He is a Judicial Court Commissioner for Milwaukee County. In 1991, he received the Milwaukee Young Lawyers Association Service Award for Outstanding Contributions to the Community. In 1992, he was recognized by the City Council ofthe Croatian City of Slavonski Brod for his contributions to its defense. He was awarded the Order of the Croatian "Pleter" by Croatian President Franjo Tudjman in 1996. From 1994 to 2002, he was a board member and Vice President of the Croatian American Association. From 2007 through 2012, he successfully defended Croatian General Mladen Markac before the ICTY. 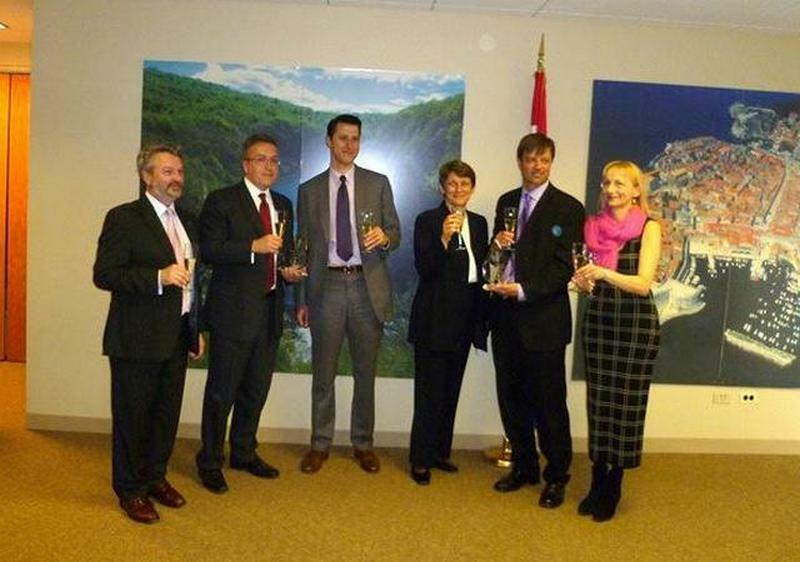 The Croatian American Bar Association is honored to present Luka Misetic and Tomislav Kuzmanovic with the 2012 Vinodol Code Award. We wish Mr. Misetic and Mr. Kuzmanovic continued success in their respective careers. 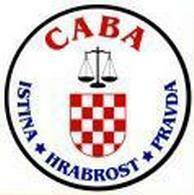 About the Croatian American Bar Association (CABA) The CABA is an association of Croatian-American lawyers and Croatian lawyers from around the world. For more information, please visit www.CroatianAmericanBar.com. The CABA established the Vinodol Code Award to recognize persons of Croatian descent who have excelled in the practice of law and/or made an outstanding contribution to the law or legal scholarship. The award is named after the Vinodol Code (Vinodolski Zakon) written in 1288 - the oldest legal text in Croatian and written in Glagolitic letters. 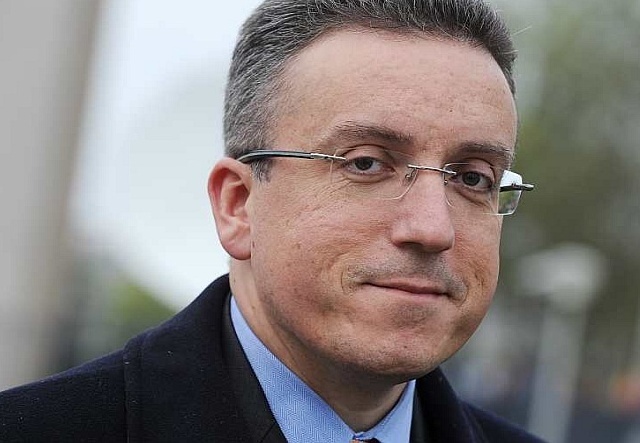 Born in Milwaukee, Wisconsin, 49 year old Tomislav Kuzmanovic was trial and appellate co-counsel for General Mladen Markac before the ICTY in The Hague. 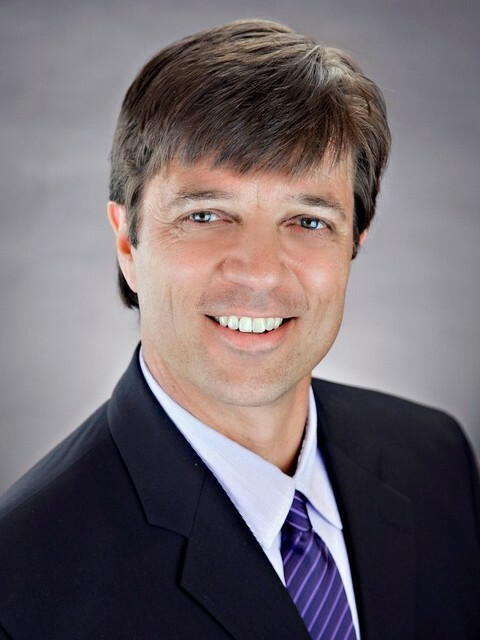 He is a partner and trial lawyer in the Milwaukee, Wisconsin office of Hinshaw & Culbertson. His practice includes complex litigation in the fields of international, commercial, transportation, construction and hospitality law. 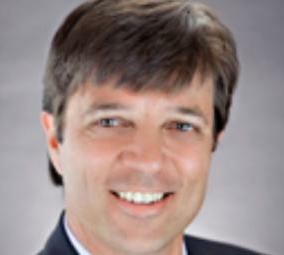 Since 2008, he has been named annually to the Super Lawyers Corporate Counsel Edition. He has strong links with Croatia. His parents were born in Slavetic and Cista Provo, Croatia. He was recognised by the City Council of the Croatian city of Slavonski Brod for his contributions to its defense in 1992.In 1996, he was awarded ‘Red Hrvatskog Pletera’ by the late Croatian President Franjo Tudjman for contributions towards Croatia’s independence. From 1994 to 2002, he served as a board member and Vice President of the Croatian American Association. He is married and is the father of three children ages 23, 18 and 15. 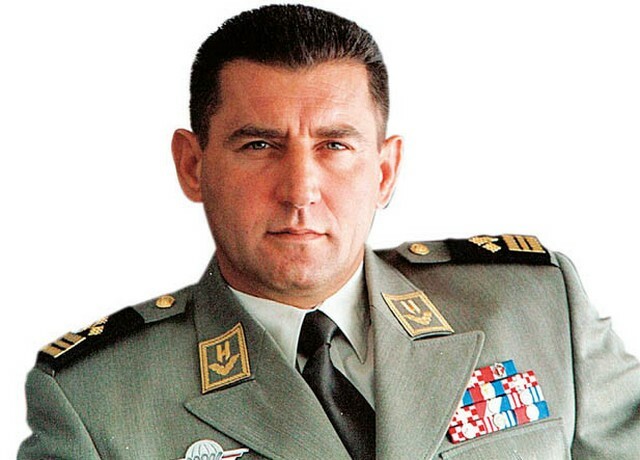 Of course he is most known to Croats for his successful defence of General Mladen Markac, which saw the General – along with co-defendant General Ante Gotovina – wholly exonerated of the charges against them in relation to Croatia’s 1995 Operation Storm which liberated much of Croatia and saved Bosnia-Herzegovina from Serbian forces. In this question and answer interview, he provides us with his insight into the case. What were both you and General Markac expecting before the verdict? How did you both react to the actual result? We were expecting nothing but hoping for justice. I think we were realists. He was prepared for any result. We knew it could not be worse! Even though we knew we had the legal and factual arguments for an acquittal, only a liar would state that we thought for a fact we would be justifiably acquitted. Of course, when the result was announced, we were stunned but not completely surprised. We had good thoughts about what we had done on appeal and the appeals chamber seemed very receptive to our oral arguments and briefs. General Markac was cool on the outside, but I know he was just as stunned, yet not completely surprised. He was very happy, of course, and the hugs and celebrations were very heartfelt in the small cubicle where the accused are held behind the courtroom. He thanked us for our long hard efforts. I think he was completely unprepared to actually leave The Hague so quickly. It must have been a fairly tumultuous day The Hague in the morning, Ban Jelacic in the evening? I can’t imagine what it was like for the man. I mean they load them up in the morning in a heavily armed heavily guarded van from prison to the court building each morning. They wear bulletproof vests over their suits and are handcuffed. He went from being handcuffed at 8:30 AM to standing a free man on Jelacic Square at 5 PM the same day. What a shock to the system, but I know it was gratifying and a relief for him to finally be home. Prime Minister Milanovic and the government welcomed us off the government plane. The whole procession/motorcade from Zagreb airport to the square was like being in The Beatles at the height of Beatlemania. Mobbed. Photos. Handshakes. And that’s just for the lawyers! From the massive reception at the square to the Cathedral for Mass, to Pantovcak and the amazing reception by President Josipovic and all of the current and retired military leaders of Croatia, simply unforgettable. I must add that none of this would have been possible but for the great sacrifice and expense of the Croatian government, and its taxpayers, who funded the defense teams and provided us the resources necessary to win the case. This was crucial. We have also had the verdicts in regards to the Haradinaj case. Out of this have come allegations from former prosecution staff regarding ICTY Carla del Ponte. Apparently not only was she advised against the Haradinaj prosecution but also that she did deals with Belgrade. Do you think something similar happened in regards to the Croatian Generals? i.e. was politics involved? Well as you know, the Tribunal was set up by a political body, the UN Security Council, and the judges were politically selected and voted on by the Security Council to serve at the ICTY. That being said, I strongly believe that our appeals verdict was not a political decision in any way. The evidence and the law were clearly on the side of the defense in this case. If they rubber stamped the trial chamber, it clearly would have been a political outcome because then it would confirm what Carla Del Ponte wanted all along, to make all sides equally guilty when clearly that wasn’t the case. I mean come on, the CIA reported in 1995 that 90% of the alleged war crimes committed in the former Yugoslavia were committed by Serb forces. The indictments, the judgments, the sentences clearly reflect that. The initial indictment did not contain a JCE for either Gotovina nor Cermak and Markac. They were separate cases that were joined. The amended indictment with her insistence on pursuing a JCE (Joint Criminal Enterprise) caused her, in the end, great problems. A straight up case of command responsibility would be very defensible given the facts, and their shotgun approach led to all kinds of circumstantial evidence being used to justify their unlawful artillery attack arguments. In the end, Carla ended up with egg on her face and an ethics complaint filed against her due to her obscene comments post verdict. Why was the JCE introduced by the prosecutors? Is it easier to prosecute than command responsibility? In my view, there were several reasons the JCE theory was the preferred method of the OTP (Office of the Prosecutor) to try to convict the generals. First, the JCE was used to impute liability on those who could not be there to defend themselves. In my case, those defenseless co-conspirators were President Tudjman, Gojko Susak and Zvonimir Cervenko, who were dead, among others. The way the amended indictment was phrased, the entire Croatian population could be interpreted as being a member of the JCE. Second, it seemed that until our Appeals Judgment, there was no way legally possible to prevent the broad brush of the JCE to stain the individual defendants. What I mean by that is the OTP tried to use the Brioni transcripts alone as the trigger for the so-called ‘plan’ of the co-conspirators to forcibly remove the Serb population from the ‘Krajina’, not the entire Krajina, just the areas from Gracac south, including Knin, Benkovac and Obrovac and the Zadar hinterland. That was an illogical argument, since it excluded all of Sector North, which included Korenica, Petrinja and other significant areas of Serb occupation. The Serbian forces there under the command of Cedo Bulat capitulated in a formal ceremony to General Stipetic. They left there on their own free will if they wanted to leave. In Sector South, the population didn’t even have time to decide whether to stay because they were under an evacuation order and their military began to leave. I mean after the first day of Operation Storm, the ARSK (Army of the ‘Republika Srpska Krajina’) came to General Forand who was in charge of UN Sector South and demanded fuel and vehicles to evacuate 32,000 people! That was in evidence. Had the ARSK just surrendered and not fled, the situation would have been entirely different on the ground. The shelling was the method they tried to use to implement the JCE, which we all know failed miserably. But they needed the JCE, which they could only get from the Brioni transcripts. By the way, not one person who was actually at Brioni and still alive was called by the OTP to testify at trial. I still don’t understand how the transcripts got into the hands of the OTP. No normal person would voluntarily produce these transcripts. Could you imagine President Bush or Obama or Prime Minister Blair volunteering internal discussions of planning of military operations to anyone? Whoever was responsible for this in Croatia should be prosecuted. Third, the JCE enabled the OTP to avoid the greater legal and factual scrutiny required by the superior responsibility mode of liability. Finally, by using the JCE theory, the OTP tried to use evidence of crimes like burnings, murder and plunder and attribute them to be part of the plan rather than to tie them to individual military commanders. The OTP did introduce evidence which they believed to be indicative of liability under command responsibility. This evidence was vigorously challenged by the defense and we put in our own evidence in our respective defense cases. The Trial Chamber didn’t address command responsibility whatsoever. I don’t know why, but in my view the defense put together a strong case which established reasonable doubt to the benefit of the Generals on command responsibility. While the Appeals Chamber didn’t come right out and say reasonable doubt existed on the issue of command responsibility, it declined by a 4-1 margin to find the Generals guilty under alternate modes of liability, which included command responsibility. Del Ponte has apparently told the Serbian newspaper ‘Blic’ that neither the Serbian government nor its people should accept it. How do you respond to her behaviour? I think she needs to take a deep breath and think before she speaks. Look at her indictments. They were failures. She was a failure. She should shut up, shake hands and say “good match”. Fat chance. A number of ‘Balkan analysts’ have been critical of the judgement; a number of these are of the sort who considered everyone had to accept the original judgment. They often refer to the comments made in the ‘Brioni trancript’ and comments by Franjo Tudjman, interpreting these as a plan to expel Serbs. How do you respond to this? The problem with these ‘analysts’ is that they don’t know the trial record, the standard of proof that someone must have evidence of guilt beyond reasonable doubt, and that a raft of circumstantial evidence doesn’t make a case good, it makes a case extremely weak. As far as a ‘plan to expel Serbs’, it didn’t exist. The fallacy that Brioni ‘proves’ that a plan existed is exposed as false simply by reading the entire transcript, not taking one or two quotes of people who are dead completely out of context. The appeals chamber made short shrift of these ‘experts’. If there were 5 pieces of evidence which would favor the defense in the interpretation of Brioni, and one against, the trial chamber took the one against and used it as evidence ‘beyond reasonable doubt’ of a JCE. The appeals chamber rejected that kind of reversal of the burden of proof. The matter of the Serb leadership organising the evacuation of Serbs from ‘Krajina’ was – and is – very much a taboo subject for ‘Balkan experts’ critical of Croatia. The evacuation is rarely mentioned. Why is this and do you feel it impeded international public understanding of the issues surrounding the trial? I don’t think they can reconcile the fact that the Serb leadership in Croatia could never accept Croatia as being the legitimately recognised sovereign with the desire of that same leadership to do anything to avoid living together with Croatians. Had we been able to have them in time, the evidence we tried to get admitted post trial in our motions clearly shows the Serbian leadership’s desires in Belgrade to evacuate this population and move them to Kosovo and other places. If one isn’t planning an evacuation, the leadership doesn’t go to General Forand late on the first day of Operation Storm in the UN barracks in Knin and ask for enough vehicles and fuel to evacuate 32,000 people. That’s just one of the pieces of direct evidence the trial chamber conveniently ignored. In relation to that – given the evacuation, how did the original indictments blaming Croatia for the exodus ever got off the ground? At the very least reasonable doubt was there. Let’s face it, crimes were committed, and very ugly ones at that. They were not widespread, nor were they systematic. And even the trial chamber agreed that the crimes were not part of the ‘plan’ to expel the Serbian population. The fault lies with the lack of resources and in some cases the lack of will of the criminal justice system in Croatia at the time of the events to deal with it in a proper fashion. Had they been more intensely involved in prosecuting the criminals who committed the crimes, maybe the indictments would not have been forthcoming. Then again, political pressure has its presence here given the fact that the mantra kept being spread over and over that Operation Storm was “the biggest ethnic cleansing event of the wars in former Yugoslavia”. This was false and we knew it to be so. As an example of the difficulties of returning a war zone to order, we admitted evidence in our case through one of the experts who was involved in KFOR in Kosovo that the murder rate in Kosovo went down from something like 50 people a week before KFOR to 30 people a week after KFOR. And these were ‘western military forces’ trying to keep the peace. And they were lauding the fact that the murder rate went down! If this kind of carnage happened in the so-called Krajina weeks after the Croatian civilian authorities took over the occupied territory, Croatia and its leaders would have been even more vilified. So while it’s in some instance comparing apples to oranges, it’s a valid piece of evidence to show that not even the best trained and best armed force could control lawlessness and killing well after hostilities had ended. How was Croatia to do that on its own with scant resources while still dealing with occupied Eastern Slavonia and fighting the BSA (Bosnian Serb Army) with the ABH (Army of Bosnia-Herzegovina) in Bosnia? Something I have found disturbing about the case is that the prosecution used material from one Savo Strbac, a member of the ‘Republika Srpska Krajina’ government – Milosevic’s illegal occupation structure in Croatia. The prosecution even issued him with a ‘letter of endorsement’ to help him raise funds for his organisation. What are your thoughts on the matter? The OTP was hypocritical in using him and his organisation to further their case. He was a member of the “government” which was held to be a criminal enterprise and thus his credibility was completely compromised. Had they thought he was so credible, the OTP would have had him testify at trial. As it was, they knew that if he testified he would have been completely obliterated in cross-examination by three sets of counsel. As it was, the ‘statements’ his organization ‘Veritas’ provided were all templates and all the same as if they were a script. Interestingly, not one of the statements had reference to ‘shelling’ as being the cause of people leaving Croatia. So while the OTP wanted badly to enhance Strbac’s credibility through this pseudo NGO, in the end the ‘evidence’ they provided was negligible and had no effect in my view on the ultimate issues in the case. There was little coverage of the 200m rule or the substantial criticism of the original verdicts by military and legal experts from around the world. Do you think there is a problem with international media coverage of such trials? Well that opportunity “to reflect on the position of the defense” at least from the New York Times correspondent covering the Tribunal never came. As a journalism major and one who worked as a reporter and who was taught by former New York Times Moscow Bureau chief Ray Anderson, who interviewed, among others, Brezhnev, Tito, Sadat and other important historical figures, I was extremely disappointed. I could write an entire book on how the SENSE News Agency, which is essentially housed in the Tribunal building, has covered this Tribunal as a cheerleader for the prosecution. Two appeals judges disagreed with the majority. One even said it “…contradicts any sense of justice”. How do you respond to that, but also the arguments they put forward? At this point, I don’t want to comment directly other than to say that after analysis, it’s clear to me that the dissent had it’s own agenda to equalize guilt and to find any means possible to uphold the JCE convictions to make Croatia as equally culpable on a governmental level as Serbia. There were very few substantive citations to support their dissent, what they did cite was disingenuous and didn’t say what they claimed it to say, and they were unnecessarily vitriolic in their language. At least they found 4-1 for no alternative mode of liability. What does the future hold for you now, with this case coming to such a satisfactory conclusion? Well, now back to my firm full time and my domestic litigation practice. I’m still involved in handling international legal matters. My family’s happy I’m not always on a plane. So am I. The intensity and the stakes were very high and there is no way that I will duplicate such a case, nor quite frankly such a result, in my career. I’m grateful and proud to have defended General Markac and that justice prevailed when the odds were so stacked against us. I plan on writing a book about my experiences and to lecture about the case and international law. Thanks to all out there who supported us in any way during our case. It’s finally over. Mr. Kuzmanovic has for more than 20 years been an extremely active member of the Croatian-American legal community. From 2007 to 2012, he was one of the lawyers defending Croatian General Mladen Markač before the International Criminal Tribunal for the former Yugoslavia (ICTY) and later, in an appeal before the ICTY’s Appeals Chamber. Gen. Markač, who was the Assistant Minister of the Interior and Operation Commander of the Special Police in Croatia in 1995, was charged with crimes against humanity and violations of the laws or customs of war for actions that occurred during the 1995 “Operation Storm” military offensive in Croatia. Determining that Gen. Markač had participated in a joint criminal enterprise to permanently and forcibly remove the Serb civilian population from Croatia’s Krajina region, the Trial Chamber found Gen. Markač guilty of both charges. On November 16, 2012, the Appeals Chamber reversed the conviction and entered a verdict of acquittal. Mr. Kuzmanovic, who had earlier successfully defended two other defendants before the ICTY, is a member of the Association of Defence Counsel at the International Criminal Tribunal for the Former Yugoslavia (ADC-ICTY), and has served on its Executive Board as one of two vice-presidents. The Executive Board is responsible for the administration, finance, policy and representation of the ADC-ICTY before the ICTY and also before the United Nations Security Council. Mr. Kuzmanovic has previously been awarded the Order of the Croatian “Pleter” by former Croatian President Franjo Tudjman for his contributions toward Croatia’s independence. He focuses his practice in the area of complex litigation, with an emphasis on international and human rights law, as well as commercial, construction, premises liability, product liability, transportation, and toxic tort matters. Vinodol Code from 1288, the earliest known law written in Croatian language, and one of the most important early Croatian legal documents. It was written in Croatian Glaglagolitic Script, preserved in its transcription from the 16th century. The original is kept in the National and University Library in Zagreb. It was written more than two hundred years before the discovery of America. As we see, Croatian Glagolitic Script is totally different from Latin, Cyrillic and Hebrew Scripts. which in this case have the meaning of numbers 1000, 200, 80 and 8, that is, the meaning is the year 1288. The first two lines are: In the Name of God, Amen. In the year of Our Lord 1288, first year of the indiction, the sixth day of the month of January. Reading the Vinodol Code, for those who know Croatian and the Glagolitic Script. 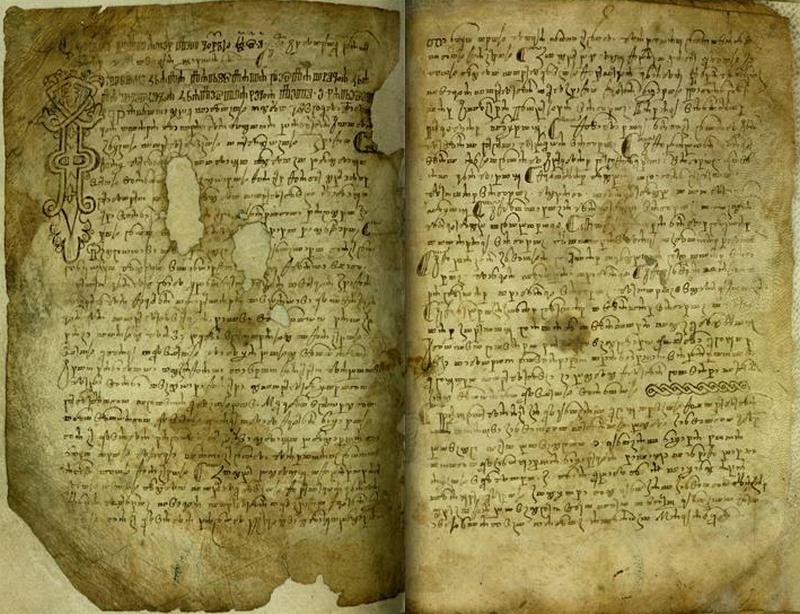 One of the earliest and most important Croatian legal documents is The Vinodol Code, very different from the Roman law, written in the Glagolitic alphabet in 1288. It also introduced the institution of witnesses. It was unique in Europe by determining moral protection and integrity of women. The Vinodol Code does not allow torture during legal proceedings, and is considered to be one of the most important documents of medieval Europe. Among the Slav Codes only the Rus' Code "Pravda" is slightly older (1282). The first Croatian edition of the Vinodol Code was published in Zagreb in 1843. Two of its Russian translations with comments were issued soon after: in Moscow in 1846 and in St. Petersburg in 1878. A translation of the Vinodol Code into Polish appeared in 1856 and into French in 1896 (Jules Preux: La Loi du Vinodol traduite et annotée // Nouv. rev. hist. du droit français et étranger. - 1896).